Hamster wheels can become dirty and grubby much more quickly that you might think. It's very easy for the odd bits of bedding, food or even poop to make their way into you hamster's wheel. This is why cleaning your hamster's wheel is an important part of your hamster care and maintenance routine. Why should I clean my hamster's wheel? For many reasons! Your hamsters cage should be kept clean, whether it's the bedding, the food bowl or even the wheel. Cleanliness is an important part of hygiene just as much for us as it is for a hamster. A hamster in clean surroundings is much more likely to be fit and healthy. Remember that hamsters can sometimes 'pee' and 'poop' in their wheels so hygiene is of great importance. Would you want to use a treadmill if it was dirty? No! It's no different for a hamster. By keeping their wheel clean you'll help to ensure they use it as much as possible. Exercise is a very important part of a hamster's life so it should always have access to a clean hamster wheel. It's easy for dirt and debris to collect inside a hamster wheel and stay inside it, even after it's been used. Make sure it's free of debris and grime to give your hamster a perfectly clean running surface! How often should I clean a hamster wheel? This is generally for you to decide. It depends how often the wheel is used, what design the wheel is, how messy your hamsters are and how many hamsters have access to the wheel. Generally it's very easy to decide when your hamster wheel needs cleaning - simply have a look at it! Is the inside mucky? Are there bits of debris along the running surface? How clean does the wheel look? It's often a good idea to have a close look at the wheel when you perform other parts of your hamster care routine. 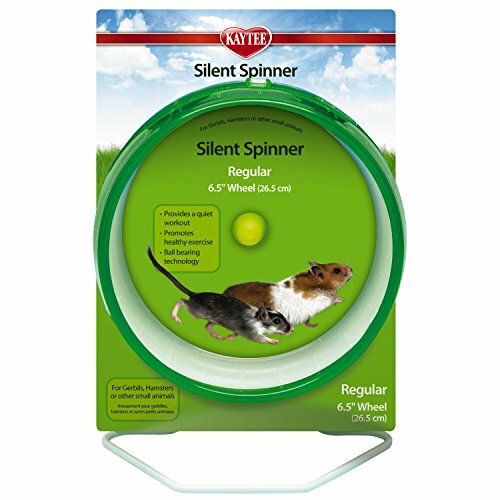 Inspect the wheel when you change your hamster's bedding or put new food in your hamster's bowl. Hamsters might not want to use their wheel if it's dirty and so might miss out on important exercise. It's always best to clean your hamsters wheel as often as possible. Cleaning a hamster wheel is quite straight forward. Remember the more often you clean it, the easier it should be each time. The longer you leave it, the dirtier it will be! Your common sense should tell you how to clean a hamster wheel, but here's some tips to help you along the way. We will assume your hamster wheel is plastic. Remove the hamster wheel from the cage and shake any debris that has collected inside it into a bin. Place the hamster wheel into a bowl or large container full of hot water and allow to soak as necessary. If you are concerned about water getting into the 'spindle housing' of the wheel, you can run it under hot water instead. For the more stubborn stains, grease or mucky marks, you can use a sponge, cotton bud or old toothbrush to get rid of them. Give the wheel a good old scrub. If the wheel seems to have been 'peed' and 'pooped' in a lot, using antibacterial soap or disinfectant can be a good idea. Give the wheel a good old rinse once it's nice and clean. Once you are confident it's clean and fresh, you'll need to dry it - and thoroughly. This is especially important if you've used any cleaning product or liquids - any traces should be fully removed. Ensure the running surface is fully dry. 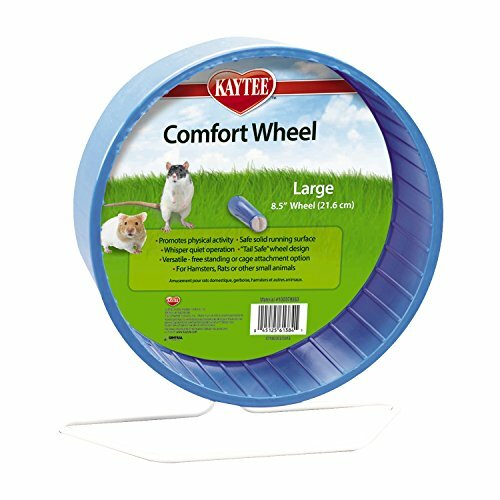 This helps to ensure your hamster can't slip on a wet running surface. Make sure the hamster wheel is still in good working order and place back into the cage! If you have a wooden hamster wheel, cleaning it might be a little more complicated. 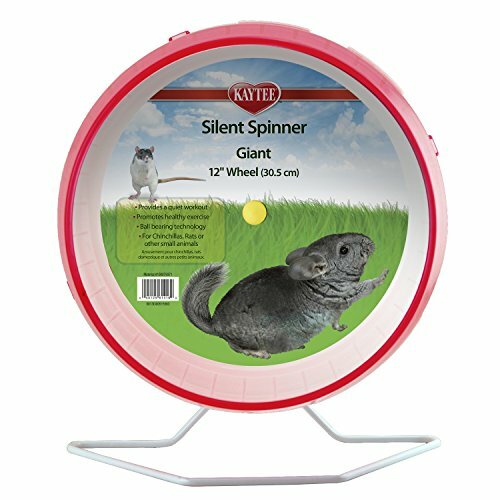 Whether it's wooden or plastic, if you are unsure, always check the manufacturer's instructions on how to clean and maintain your hamster's wheel.